Land Rover has revealed the all-new, second-generation of its popular Evoque SUV. The Evoque is the smallest Range Rover, and has been redesigned, with a new interior, hybrid engines, and new technology. It rivals the likes of the BMW X1, Audi Q3, Mercedes GLA-Class, Volvo XC40 and Porsche Macan. The new Evoque is sleeker than the previous model, but it’s more of an evolution in design than a complete overhaul. It still very much looks like part of the Range Rover family. New design touches include 21-inch wheels, all-LED lighting, and flush door handles. If you opt for the R-Dynamic trim, you can expect various burnished copper details to spice up the look. Inside, the new Evoque is less cluttered than the first-gen model. Like in the larger Velar, you can opt for recycled plastics as alternatives to leather, as well as a range of wool-blend and suede-cloth fabrics from brands like Kvadrat, Miko Dinamica and Ultrafabrics. The dash is dominated with a twin touchscreen system, which controls most aspects of the car, as well as the infotainment. There’s some other new, clever technology added to the Evoque. It comes with an "onboard butler", which uses artificial intelligence algorithms to learn the driver’s preference for seat position, music, climate and steering wheel position. If you’re carrying something bulky that blocks your rear view, the driver can flick a switch and a camera feed will display what is behind the vehicle. And if you’re navigating tough terrain – or a tough parking space – you can view 180 degrees under the front of the vehicle to help with maneuvering. A camera effectively makes the bonnet invisible. 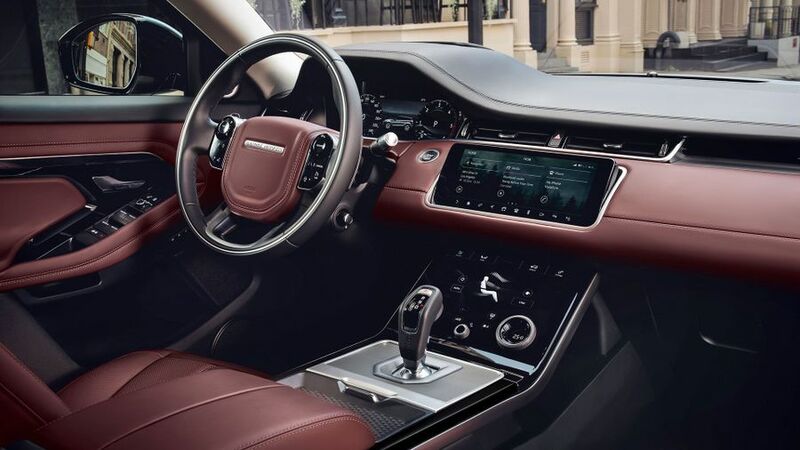 Although the car’s footprint is basically the same as the outgoing Evoque, there’s more interior space overall. A longer wheelbase gives passengers an extra 20mm of rear kneeroom, and there’s a bigger glove box and centre cubby. Boot space is up by 10% to 591 litres, and grows to 1,383 litres when the second-row seats are folded. There will be a range of four-cylinder petrol and diesel engines available, and a three-cylinder petrol joining the mix in 2019. From launch, buyers will be able to opt for a 48-volt mild-hybrid version. Below 11mph, the engine shuts off while the driver applies the brakes, and then when pulling away, the stored energy helps with acceleration and reducing fuel consumption. A plug-in hybrid model will also be available from a year after launch. 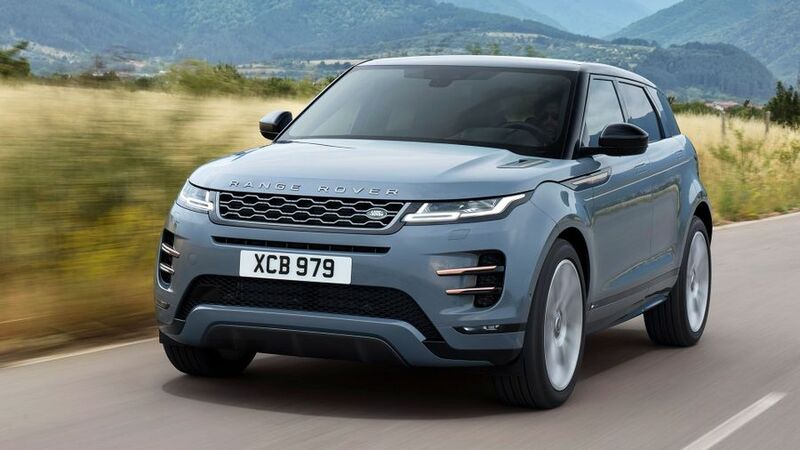 While JLR has said it plans to have an electrified version of all its new models launched from 2020, the Evoque is coming out before this deadline, and won’t have an electric version at launch. There could be one further down the line, however. 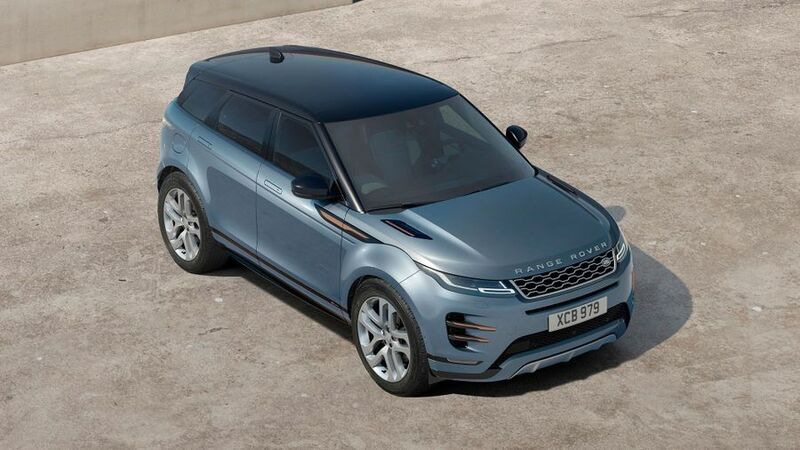 As it’s a Range Rover, buyers will expect off-road capabilities. 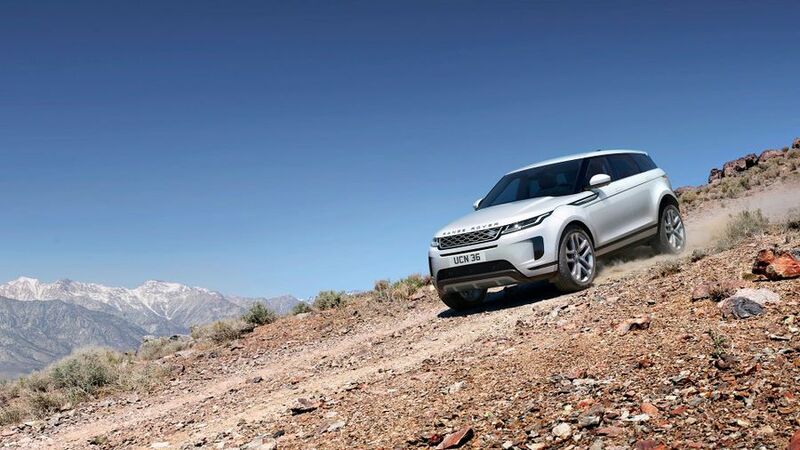 The new Evoque has four-wheel drive, a system which balances comfort and agility depending on what kind of driving you want to do, and the Terrain Response 2 system, which detects the surface being driven on and sets up the car accordingly. The Evoque can also wade through water up to 600mm deep, which is 100mm more from the first-generation model. On top of that, the new Evoque will feature technologies including Hill Descent Control, Gradient Release Control and All-Terrain Progress Control. A reversing camera is standard, along with a few driver assistance systems, including adaptive cruise control with steering assist. Lane keep assist, emergency braking and driver condition monitor are all available too. 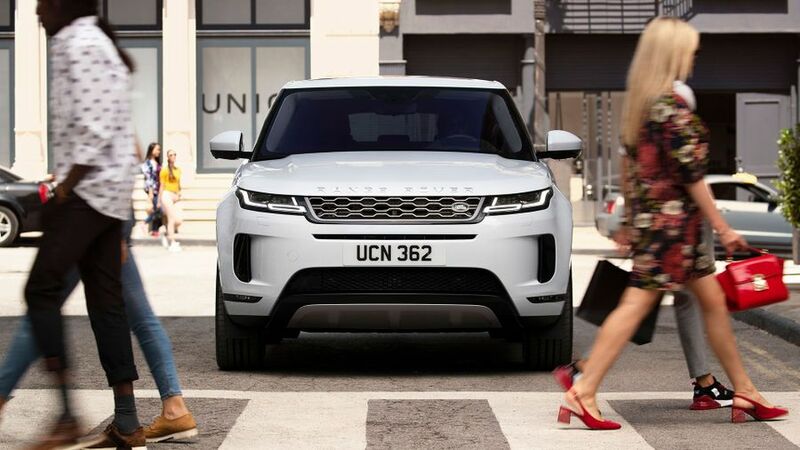 The new Evoque is available to order now. It will cost from £31,600 for the base model, up to £50,400 for the top spec First Edition model (plus any optional extras you might be tempted by). Interested in buying a Land Rover Range Rover Evoque?